The phrase “everlasting covenant” (or “perpetual covenant”) is used no less than 16 times in the Old Testament, plus once in the New Testament. It always refers to a covenant promise of God to man, made in grace, for only He can make an everlasting promise. The first everlasting covenant was made with Noah (Genesis 9:16), a promise never to send a worldwide flood again, sealed with the sign of the rainbow. The second is recorded in today’s verse and was God’s promise to Abraham and his descendants. The promise was to give them “the land of Canaan, for an everlasting possession” (Genesis 17:8), and the seal was to be the rite of circumcision. Many of the “everlasting covenant” promises have to do with Israel. Some were stated unconditionally, but others were “broken” because of man’s rebellion against God’s covenant terms. One of the latter was the covenant of the Sabbath. “Wherefore the children of Israel shall keep the sabbath . . . for a perpetual covenant. It is a sign between me and the children of Israel for ever: for in six days the LORD made heaven and earth, and on the seventh day he rested, and was refreshed” (Exodus 31:16-17). 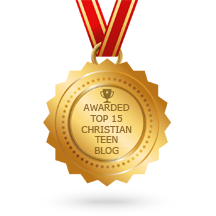 This entry was posted in A CLICK A BLESSING TODAY, CHRISTIAN NUGGETS and tagged God's everlasting covenants. Bookmark the permalink.